Not today, devil! Harvard's on deck. While the NFL, Trump supporters and racist hate on Colin Kaepernick for simply protesting against social injustice and police brutality, he's still being praised for his courageous stance. Thankfully. 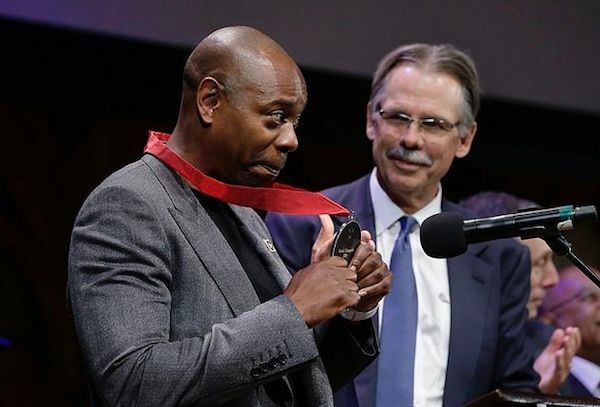 The former San Francisco 49ers quarterback was honored with the W.E.B. Du Bois Medal by Harvard University yesterday (October 11th). 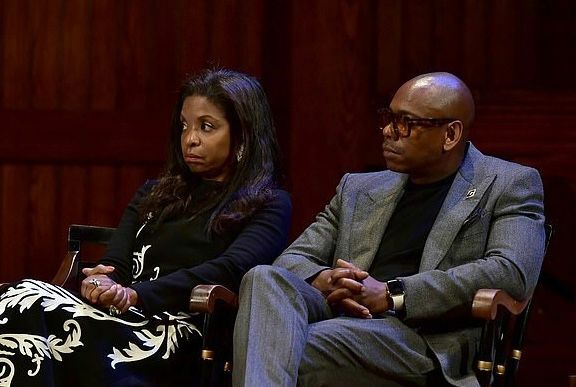 Comedian Dave Chappelle and six others were also honored with the award from the Hutchins Center for African and African American Research at Harvard. 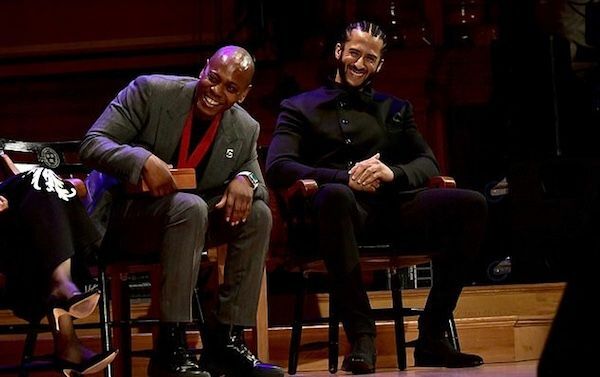 The live stream of the award presentation ceased when Kaepernick took the podium to make his acceptance speech, according to Pro Football Talk's Mike Florio. "Due to the current litigation of W.E.B. 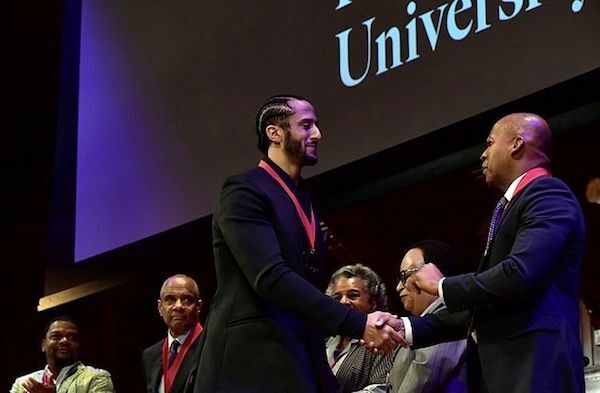 Du Boss medalist Colin Kaepernick," the stream read, "no press photography or video live stream will be allowed of his remarks." Kaepernick, who completed his pledge of donating $1 million to charity organizations, is currently in the middle of a collusion grievance he filed against the NFL that will advance to trial. It's reported the stream was taken down so that the league couldn't use anything he said against him in court. Guess who was omitted from the gallery? You guessed it! Colin Kaepernick. Look for yourself here. Colin Kaepernick is NOWHERE to be found. He's not there at the time of this post. If he does end up popping up in the mix, they definitely added him after receiving some backlash. At Sunday's game, they did a countdown end of halftime to start the 2nd half using jerseys of current/past players. Up flashed Steve Young for 8. At 7, I think they had like a picture of a fan wearing a shirt with a number 7 on it. I laughed out loud. The Niners Kap ban is real. As a #49ers season ticket holder and long time fan, I find that this obvious attempt to erase Colin Kaepernick from your history is inappropriate, dishonest and disturbing. Hopefully, this can be used in Kaepernick's collusion lawsuit because it's CLEAR they have blackballed him. 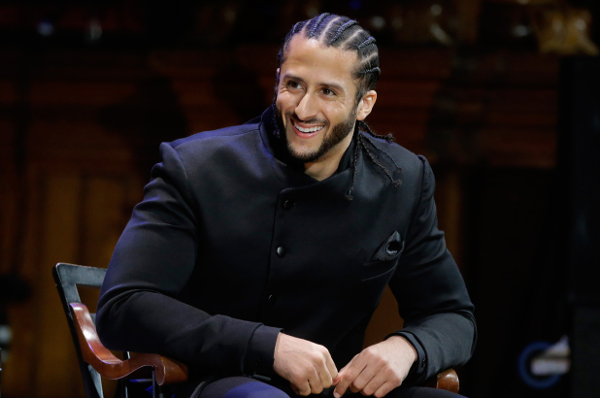 Colin Kaepernick, who has a lucrative deal with Nike and is the face of their newest campaign, is looking to trademark and his face and afro, according to ESPN. It's reported, Kaepernick's company, Inked Flash, applied to the U.S. Patent and Trademark Office (USPTO) to use a black-and-white image of Colin in several categories such as clothing, toys, candy and mugs on October 5th. The filing also says the image could be used in association with "providing classes, workshops, seminars and camps in the field of self empowerment and awareness to properly interact with law enforcement" as well as in association with "production of television shows and films." PREVIOUS: SURPRISE! Kehlani is PREGNANT & She's Having A GIRL!